My best piece of dating advice for women is to believe love is possible for you. Once you are sure love is your destiny, you relax. and grow confident – which is very appealing to men! Do you worry that you may never find love? 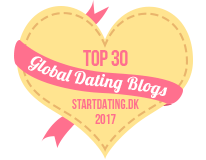 Most dating advice for women over 40 focuses on where to find men and how to get them to commit. But from my experience as a dating coach for 15 years, you need to back up a few steps. Any of these misalignments can keep you from connecting with the right man. But don’t worry – once you have the awareness of what could be holding you back, you can shift it. First of all, you need to know that love is your destiny. You need to trust that the Universe, Source or God will help you attract and connect with the right man. You must BELIEVE that the right man for you is out there and you deserve him and the right relationship for you. This is one of the most powerful dating tips for women available.. I want to share an amazing client story. Rachel is 47 and has never been married. She has a very high-pressured career in financial securities and hasn’t made much time for dating. She has simply lived her life taking what comes. So she works hard, exercises, is studying for an advanced degree, sees friends when she can. Looking for love? Well she was willing to admit she hasn’t put much time into that. When out with friends, she might look around at the men. 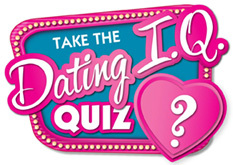 She doesn’t want to attend singles events or try online dating – these things have no appeal. They are too contrived for her taste. (We’re working on that). Now that she is 47, she has come to realize her “take on life as it comes” method is not helping her find the right man, and she realizes something has to change. We talked about her beliefs. Does she believe deep within her being that love is her destiny? She wasn’t sure and said so honestly. I gave Rachel an exercise to try that is designed to help see a sign of what is to come. She set an intention that she wanted to see a sign out in the world that love is in fact her destiny. I told her how to select the sign and how to look for it. She agreed to give this exercise a shot. In her very next session, Rachel was extremely excited. Not only had she seen one sign but two! Two signs confirmed that love is her destiny. Now here’s the good part. This caused an amazing 180 degree shift for Rachel. A complete about face. Men started asking her out – out of the blue! When I questioned Rachel about the change, she explained how knowing she will find love and love is her destiny has made her feel more secure and trusting in the Universe to deliver. She doesn’t feel that pressure of desperation or avoidance of men due to a fear of rejection. It’s like a black cloud has lifted and now she feels lighter and more at ease. Rachel is now more open and willing to meet men. She is happier and far less nervous. This new found trust and deep core belief has helped Rachel become far more attractive to men! The proof is the fact that she is meeting men in her everyday life and they are wanting to get to know her. 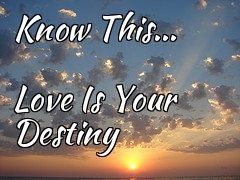 Find away to connect with the core belief and know beyond a shadow of a doubt that love is your destiny. Occasionally you may wonder, but for the most part, you move through each day with the understanding that every man you meet bring you one step closer to the right man for you. He’s out there and you are actively doing what you can to attract love and find him. Believe and take action. Work on yourself to be your best self. Find things that make you happy, and always return to the truth of love being your destiny. This is fundamental and the best dating advice for women I can share. It worked for me, and it’s working for Rachel right now as I write this post. You could be next! Find Love Faster: Does Your Desire for Love Match Your Actions?